While a new diagnosis of type 1 diabetes can be daunting and overwhelming for children and their families, "It's absolutely possible to manage it and allow your child to thrive and enjoy a full life," says Vandana Sheth, RDN, CDE, owner of Eat Well Your Way For Life Nutrition Counseling, a private practice in Torrance, California, and a spokesperson for the Academy of Nutrition and Dietetics. Today's Dietitian reviews some of the basics of type 1 diabetes and provides strategies for how to manage it so RDs can help parents better understand their children's disease and prepare for the unexpected. Type 1 diabetes is an autoimmune disease in which the body's immune system attacks and destroys the pancreatic beta cells that produce the hormone insulin. Insulin ushers glucose from the blood into the cells so it can be used for energy. When the body can no longer produce insulin, as in type 1 diabetes, it must be administered via injection. Insulin is administered through individual injections with syringes or insulin pens, or by insulin pumps. Different types of insulin vary in how long and how quickly they remain active in the blood. Usually, people with type 1 diabetes take a combination of long-acting and short-acting insulin. Sheth explains that individuals who take long-acting insulin receive a basal amount over a 24-hour period, as it mimics what the body would do naturally. "The short-acting [insulins] are those used right before meals," she says. Insulin requirements are affected by the composition and size of meals and snacks as well as growth and development, physical activity, and other factors. Immediately after food is consumed, blood glucose levels increase, or spike, in response to the amount of carbohydrate ingested. Therefore, individuals must learn to count the number of carbs (in grams) each meal contains so they can adjust the amount of insulin they need. If they have a meal with few carbs, they'll need less insulin; if they have a meal with more carbs, they'll need more insulin, says Sylvia White, RD, CDE, owner of ParentingDiabetes.com, an educational website that offers support and diabetes management information to parents who have children with type 1 diabetes, and mother of two children with the disease. The key is to match insulin and carbohydrate intake as closely as possible to prevent hypoglycemia and hyperglycemia. Each child responds differently to insulin and carbohydrate intake, but in general one unit of short-acting insulin acts on 12 to 15 g carbohydrate. White says there's no need to limit carbohydrate or eliminate any foods from children's diets; it's better to individualize their eating plans so they get the nutrients needed for optimal growth and development. White advises against low-carbohydrate diets, saying there are no studies showing they're safe for children or beneficial long term. In fact, evidence of the effect of low-carbohydrate diets in children with type 1 diabetes is lacking. A comprehensive review of studies recently published in PLoS One tested low-carbohydrate diets in adults with type 1 diabetes and reported that the effect of such diets couldn't be determined, citing a need for more research.3 Carbohydrates are essential nutrients that provide important sources of energy to the body. Unlike low-carbohydrate diets, vegetarian and vegan diets are suitable for children with type 1 diabetes. According to the American Diabetes Association, vegetarian and vegan diets are appropriate for persons with diabetes, as they can help better control blood sugar. Vegetarian and vegan eating patterns also can help individuals manage their weight and lower their risk of CVD. 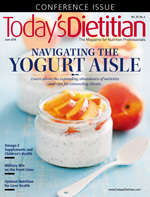 Sara Nelms, RD, CDE, director of the diabetes education program at Woman's Hospital in Baton Rouge, Louisiana, and nutrition director of the Louisiana American Diabetes Association Diabetes Camp, cautions that "Any time you change your diet regimen you always run the risk of needing less or more insulin." Nelms says children who eat a vegetarian or vegan diet may need less insulin because they're not eating as much fat, as fat raises blood sugar levels, although this occurs four to six hours after meals. She recommends parents visit their children's dietitian before making any dietary changes. Once parents prepare the DMMP and their child's health care provider signs it, they should make an appointment to meet with the school nurse to review the plan, White says. The plan explains the child's specific insulin needs, when they need to check their blood sugar, what to do if they experience low blood sugar, and what to do if they develop high blood sugar, White says. When it comes to sports and physical education classes, the care plan will specify that the child won't be able to participate if his or her blood glucose is above or below a certain limit, and if it's lower than it should be the child will need to eat a snack. Beyond the plan, White recommends parents create a booklet that includes their child's name and picture, and lists guidelines to follow concerning their child. "It's the nurse's job to notify the teachers, but parents need to take some responsibility and assemble information for the teacher because teachers generally have no idea what diabetes is," she explains. Parents also need to be aware that children with type 1 diabetes have special privileges in school. For example, they're allowed unrestricted bathroom visits because "If their blood sugars are running high they'll have to urinate a lot more frequently," White says. They also have unlimited access to water, as thirst is a symptom of high blood glucose. Moreover, "If they raise their hand [because] they feel like their blood sugar is low, you have to let them go to the office accompanied by a friend or an adult, because if it drops too low they could become unconscious," White says. White advises parents to test their children's glucose levels every few hours after exercise, before bed, and again in the middle of the night to ensure blood sugar doesn't drop too low. If children are engaged in sports competition, their adrenaline can increase blood sugar levels and remain high after a game. But parents shouldn't always give extra insulin during sports competitions because the effects of exercise will kick in and lower blood sugar, White says. It's during these times when parents and children should carry snacks containing carbohydrate to stabilize blood sugar. Before playing sports, White says kids typically will need to consume 15 to 30 g of quick-acting carbohydrates to keep blood sugar steady during sports games. During halftime or a break, she recommends children drink Gatorade containing sugar to steady blood sugar for the rest of the game. Examples of foods containing 15 g of quick-acting carbohydrate include one 1/2 cup fruit juice or regular soft drink, four glucose tablets, an Airhead candy bar, or a Fun Size bag of Skittles. Periods of illness, such as fever, vomiting, and diarrhea, can be dangerous for children with type 1 diabetes because they can lead to dehydration, which can increase blood glucose and risk of diabetic ketoacidosis (DKA), which occurs when the body doesn't get enough insulin. As a result, fat cells break down into acidic ketones that build up in the blood, leading to DKA, which can result in coma and death. White says when children are sick, parents need to check their blood sugar levels every couple of hours and monitor their urine for the presence of ketones with urine strips or a blood ketone meter. "If [children] start developing ketones, that's when you have to give them more insulin and more liquids to ensure they stay hydrated," White says, adding that parents should keep Zofran, a medication that helps stop vomiting, on hand. With the many different variables in children's lives, plus the fact they're growing and developing every day, "Insulin needs are going to constantly change. As they grow up and go through different stages of growth and development, hormones are kicking in, and their insulin requirements are going to need to be increased," says Nelms, who encourages families to see a certified diabetes educator or a dietitian to address various stages of growth and development to ensure the child's nutrition needs are being appropriately addressed. — Andrea N. Giancoli, MPH, RD, is a freelance nutrition and health writer in Hermosa Beach, California. 1. Dabelea D, Mayer-Davis EJ, Saydah S, et al. Prevalence of type 1 and type 2 diabetes among children and adolescents from 2001 to 2009. JAMA. 2014;311(17):1778-1786. 2. Mayer-Davis EJ, Lawrence JM, Dabelea D, et al. Incidence trends of type 1 and type 2 diabetes among youths, 2002-2012. N Engl J Med. 2017;376(15):1419-1429. 3. Turton JL, Raab R, Rooney KB. Low-carbohydrate diets for type 1 diabetes mellitus: a systematic review. PLoS One. 2018:13(3):e0194987. 4. How do you plan effective diabetes management in the school setting? National Institute of Diabetes and Digestive and Kidney Diseases website. https://www.niddk.nih.gov/health-information/communication-programs/ndep/health-professionals/helping-student-diabetes-succeed-guide-school-personnel/diabetes-overview/effective-diabetes-management-school-setting. Accessed April 24, 2018. 5. Diabetes medical management plan. American Diabetes Association website. http://www.diabetes.org/living-with-diabetes/parents-and-kids/diabetes-care-at-school/written-care-plans/diabetes-medical-management.html. Updated June 6, 2017. Accessed April 24, 2018. 6. Blood glucose and exercise. American Diabetes Association website. http://www.diabetes.org/food-and-fitness/fitness/get-started-safely/blood-glucose-control-and-exercise.html. Updated September 25, 2017. Accessed April 9, 2018. 7. Diabetes diet, eating, & physical activity. National Institute of Diabetes and Digestive and Kidney Diseases website. https://www.niddk.nih.gov/health-information/diabetes/overview/diet-eating-physical-activity. Updated November 2016. Accessed April 9, 2018.